As Chicago’s weather warms up, so do its many neighborhoods. Each year over 400 street festivals and events take place between May and October. Whether you’re in the mood for arts and crafts, local products and live bands, or a refreshing drink, there’s something for everyone. Many festivals are free or charge a nominal fee – usually $5-10 suggested donation – which goes toward supporting local organizations and businesses. Some of our perennial favorites include Do-Division (May 30-June 1, 2014), Andersonville Midsommarfest (June 6-8), Glenwood Ave Arts Fest (Aug. 16-17), and Design Harvest (Sept. 20-21). This year, we will also check out some newer festivals like Square Roots (July 11-13) and City Made Fest (Sept. 20-21). 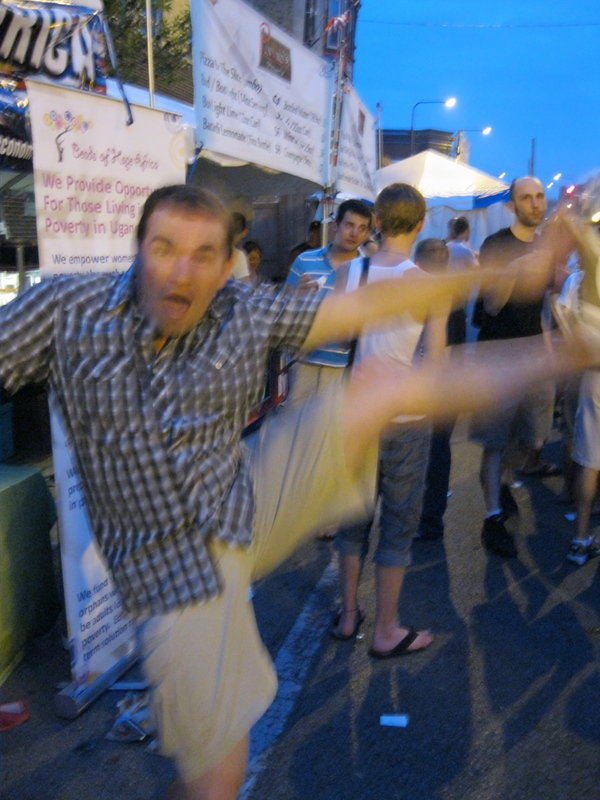 This entry was posted in High Kick Photos and tagged Andersonville Midsommarfest, Chicago street fests, City Made Fest, Design Harvest, Glenwood Ave Arts Fest, High Kick, Square Roots. Bookmark the permalink.